Christian Rasmussen joined UBS from Paine Webber as member of the Mortgage Funding Group in 2000, where he was instrumental in helping to integrate the Mortgage funding business into the UBS Cash Collateral Trading model. In 2005 he created & led the overnight funding team in trading Treasury, Agency, & MBS collateral, as well as managed the US GC matchbooks. In 2010 Christian took on the role of Head of USD Short Securities Collateral trading, which included short term rates cash, repo, swaps, & futures product. 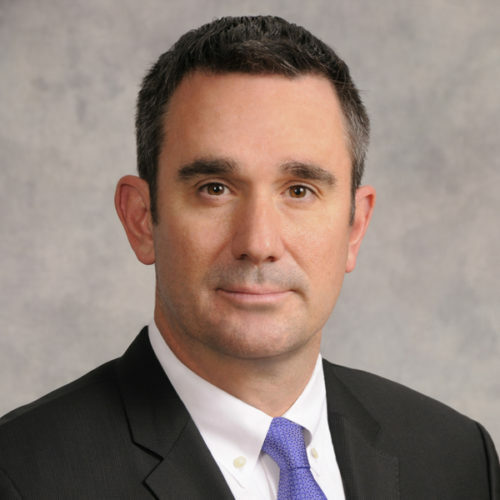 After transitioning the repo business into Group Treasury, within the Asset and Liability division in 2012, Christian was asked to assume the role of Head of Treasury ALM Repo Americas, as well as becoming the deputy Global Head of Treasury ALM Repo. His team focused on the daily financing of fixed income products, as well as managing an asset portfolio of non traditional securities. In March of 2015 Christian assumed the role of Global Co-Head of GALM Repo. In this role Christian had ownership of the Global secured funding fixed income business across UBS. In October of 2015 GALM reorganized its approach to Cash and Collateral and created a new structure called Cash and Collateral Resource Management (CCRM). During this restructuring, Christian assumed his current roles of Global Head of Liability Creation, Structuring and Flow management (LCSFM) and CCRM Regional Head of the America’s. Christian has been a leading member in driving the enhanced regulatory standards for UBS Americas. Christian holds a B.S. in Business from Skidmore College. He is a 2007 graduate of the UBS Ascent program and 2010 graduate of the UBS Executive Talent program.